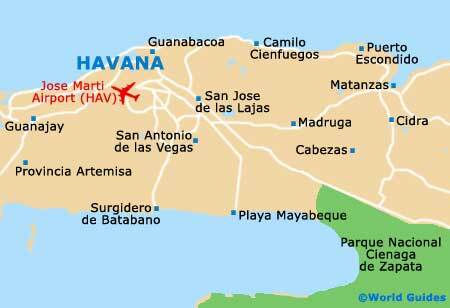 Havana is situated up in the north-west of Cuba, on the side of the Gulf of Mexico. This is one of the northernmost cities in Cuba and is roughly 320 nautical km / 200 miles to the south-west of Miami, Florida. On Cuban maps, all roads point to Havana. Havana presides over a small bay and extends mostly westward from the old part of the city. It is essentially three cities in one, with Old Havana and nearby Vedado, along with newer suburban areas. The city is several kilometres across and is easy the largest in Cuba, although most of the action is concentrated right in the city centre. The central part of Havana (known as Centro Habana) tacks onto the western end of Old Havana and is the main shopping area. 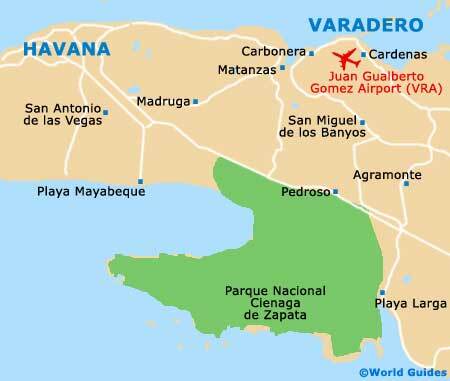 Vedado is to be found just a short distance to the north of this region. Most of the landmarks and hotels are contained within these three areas and are easily negotiated on foot using good maps. Newer, more affluent parts of Havana go out west from the centre and include the districts of Marianao, Miramar, and Playa. The airport is out this way, too. City maps are best obtained from the Infotur at La Habana Vieja. Hotels also supply maps of this part of Cuba.